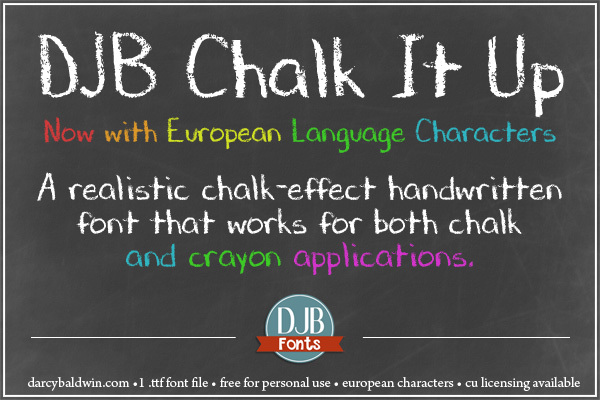 DJB Chalk It Up – a realistic handwritten chalk font that looks like you just wrote on a chalkboard without any after-effects added to it. If you would like to use this for your commercial/professional ventures, please purchase a commercial use license here. For your records, be sure to include the name of the font you are purchasing the license for. A WEBFONT version is available here and you can also purchase the font license here.